A lot has changed over the last ten years, what with the current political uncertainty surrounding Britain it can be cause for overall cynicism. Tonight however, at Shepherds Bush Empire, Kate Nash proved that life is not all doom and gloom and breathed excitement in the venue as she performed her seminal debut album Made of Bricks, sounding as fresh now as it did a decade ago. Sporting a white fluffy outfit, Nash bounced on stage and immediately teased audiences with ‘Foundations’, the pivotal track that helped launched Nash’s career, turning her debut album platinum. Crowds erupted into chorus but it wasn’t time yet for the full rendition and instead switched over to the exuberant ‘Mouthwash’. The witty and highly infectious track ‘Dickhead’, previously sung over a basic guitar riff was transformed into a gutsy, rap metal track that stirred fans into a head banging frenzy. With model clouds hanging above, bubbly piano sets and childlike visuals of skeletons dancing across the screen, the stage was a glittery pastiche of everything glitz and glam but glowing with DIY sheen, as if fashioned together from pritt stick and tape Nash so fervently references throughout ‘Mariella’, a track in which Kate encourages to embrace our weirdness and does so with utmost sincerity. It was an empowering display of female independence, both liberal and heartwarming as Kate roused listeners to silence the homophobic, sexist and racist opinions that too often get expressed in the UK and instead look around and embrace each other, making tracks like ‘Foundations’, ‘Skeleton Song’ and ‘Nicest Thing’ ever more poignant. The encore though perhaps slightly detached – performing a series of songs taken from later albums that express an edgier tone than the poppy debut – was still an uplifting arrangement of tracks as Nash highlighted the effects of mental health before melting hearts with her track ‘Musical Theatre’. Crowds were left on a familiar note with the jovial finisher ‘Merry Happy’ whilst the skies burst with confetti and friends and family stormed the stage. 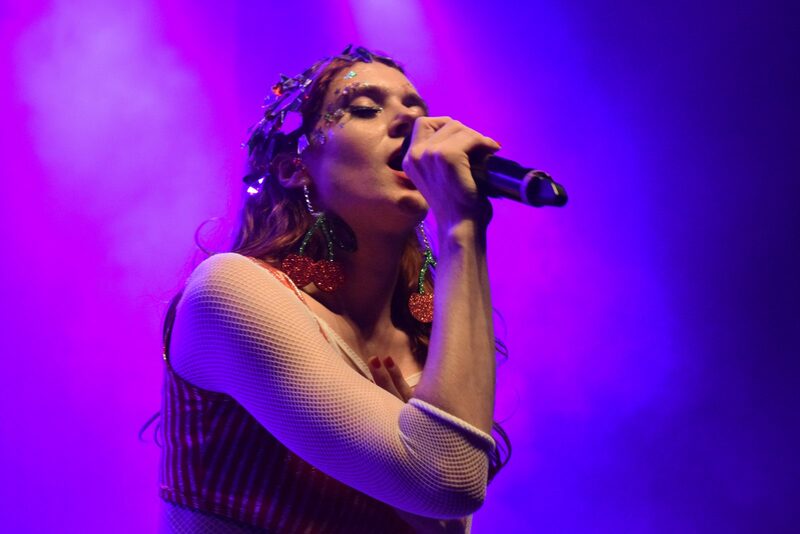 With a wonderful array of positivity, the show proved the world needs more artists like Kate Nash and we need them more than ever.